Had I seen our pilot’s passport photo before our flight, I may never have gotten aboard the little five-seater floatplane. Adam, who’d pilot our flight to the island of North Bimini in the Bahamas, lacked none of the customary self-assurance associated with pilots. He carried himself like any other young guy with an incredibly cool job. But in his passport photo, he looked 14. Even the customs officers gave him a hard time about it. I’m glad I went, though. Flying to the island from Fort Lauderdale or Miami takes less than 30 minutes and makes it abundantly clear how close this corner of the Bahamas is to South Florida. But the best part was landing in the recently dredged channel off North Bimini and taxiing directly to the beach across from a Bahamian Customs Office annex. Step off the plane, into the sand, and cross the street to clear in. Couldn’t be easier. 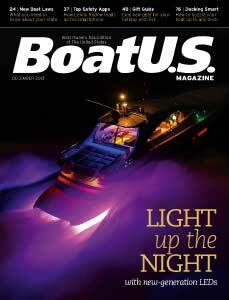 Read Full BoatUS Article! Read the full article at BoatUS!